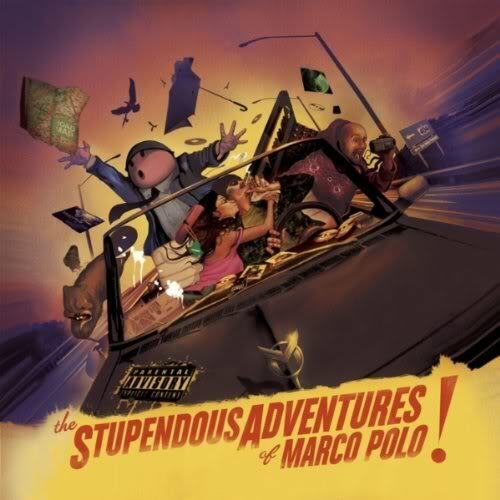 I know I'm almost too late in posting this but Marco Polo's album "The Stupendous Adventures Of Marco Polo" comes out today on Duck Down Records! Make sure to cop it at your local record store or at the Duck Down website. The Ruste Juxx/Marco Polo Collabo "The Exxecution" is already a contender for my top of the year list so I got high expectations for this release. The album features songs by the aforementioned Ruste Juxx along with appearances from Large Professor, Torae, Exile, Skyzoo, Elzhi, Royce da 5'9" and more all rapping over beats by Marco Polo. Why would you NOT get this?